Per default, every user has one journal available. If you wish to use more journals, e.g. to put your writing into categories for making all posts from one category available in a page without having to select each journal entry, you can go to your Settings and select Enable multiple journals. If you already have multiple journals enabled, you do not see this option on your Settings unless you have deleted all journals but one. Click on the Settings button for your journal. 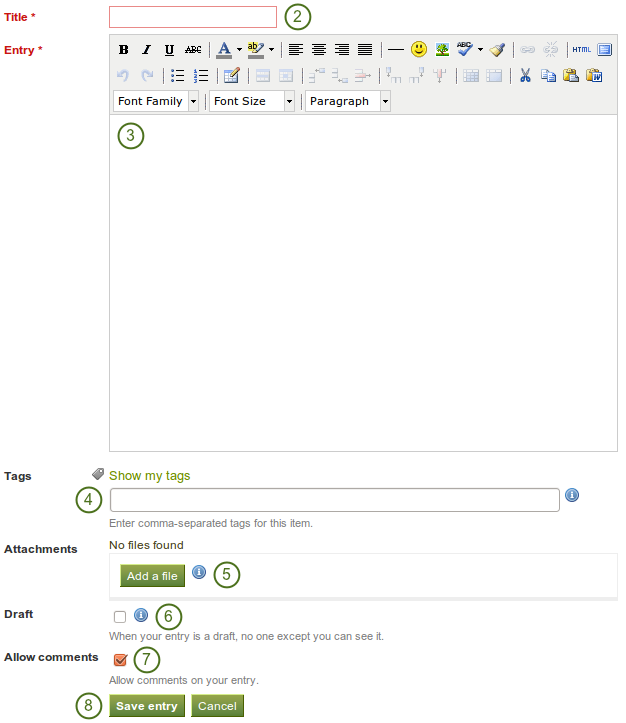 Add a description for your journal. You can format it as you wish. 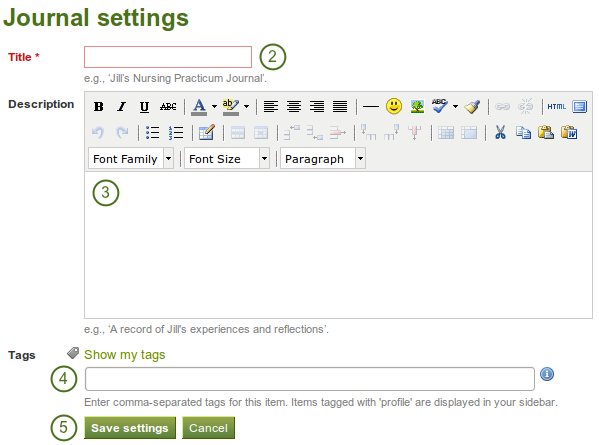 Add tags to your journal for easier searching later on. You can choose from tags that you have already used and / or enter new ones. Separate each tag with a comma. You may also choose tags from the ones that you have created previously by clicking on Show my tags. In a page, you choose either the block for making the entire journal visible or just one post from a journal. Tags: Add tags to your entry to find it more easily later on. You can choose from tags that you have already used and / or enter new ones. Separate each tag with a comma. You may also choose tags from the ones that you have created previously by clicking on Show my tags. Draft: Mark your entry as draft if you have not yet finished it. This is especially helpful if you have published your journal in a page, but do not want anybody to read this particular entry (yet). It is always visible to you, but not others. 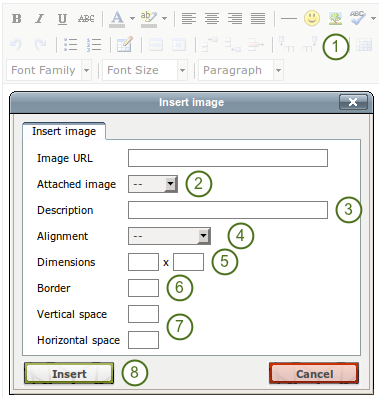 Click on the Add a file button and then Select the file(s) from your Files area that you wish to attach. Alternatively, you can Upload additional files. If you attached a file that you do not wish to attach anymore, you can Remove it. The dimensions are given in pixel. The first value is for the width and the second one for the height. 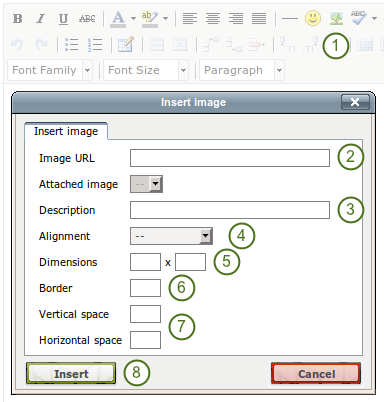 Only change one of the dimensions and delete the value from the second to retain the original proportions of the image.